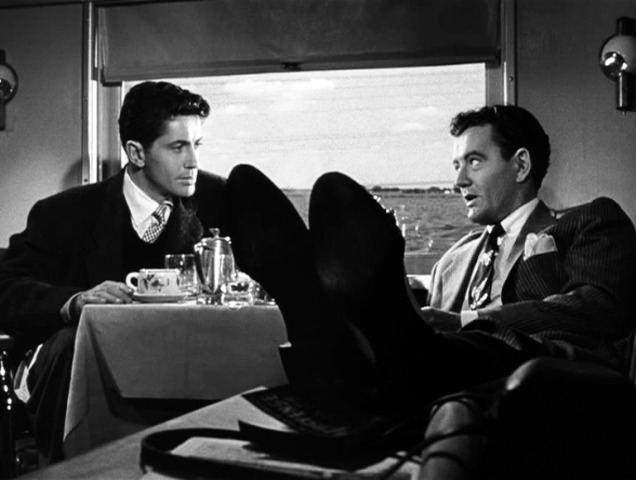 When watching “Strangers on a Train,” a film of relentless pace and stunning suspense, it’s easy to forgive a lack of depth of its characters. And while none of the stars here are at the level of Cary Grant or Ingrid Bergman, all play their roles exceptionally well. 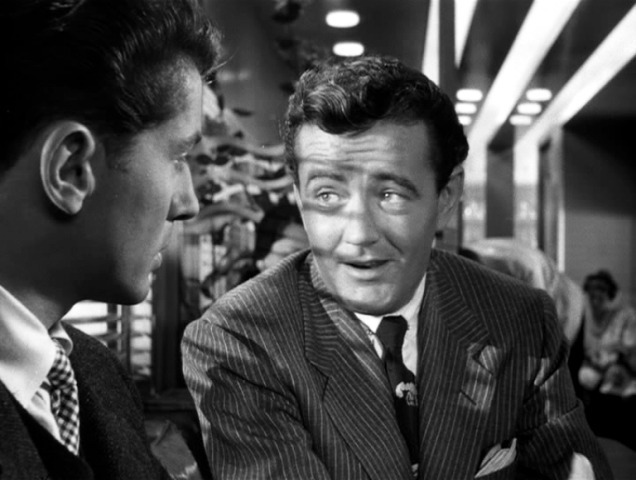 Based on the first novel by Patricia Highsmith, “Strangers” stars Robert Walker as Bruno Antony and Farley Granger as Guy Haines, who meet by chance on a train. 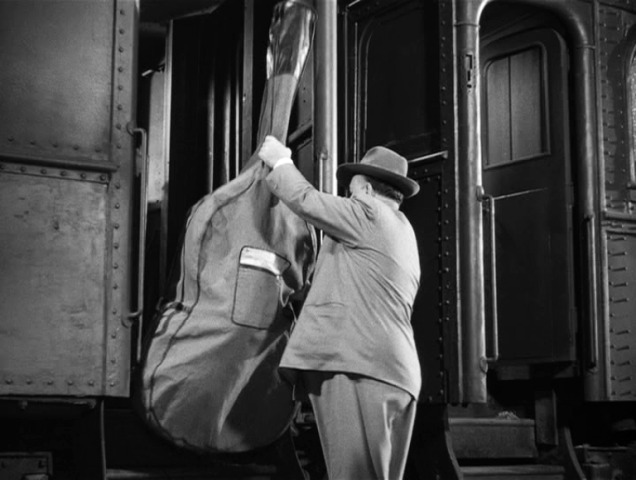 As the movie opens, we see each – from about the knees down – arriving at the train station in their respective cabs; Antony, in a silk suit and expensive shoes, leads the porter carrying his luggage, while Haines, in plain black shoes and a wool suit, allows himself to be led into the station. Even in its opening moments, Hitchcock gives us dominant and submissive personalities. Onboard the train, the two men end up sitting next to each other in the bar car, and Antony recognizes Haines, who is a renowned amateur tennis player. Antony knows a lot about Haines, actually, and insinuates more: He’s read about Haines’ marital problems in the gossip columns, as well as Haines’ affair with Anne Morton (Ruth Roman), the daughter of a senator. Antony insists that Haines dine with him, and over their meal, while he expounds on one crackpot theory after another, Antony reveals that he hates his father. And then the scheme hits him, just as the train reaches Haines’ destination. Antony can murder Haines’ wife, Miriam, and Haines can kill Antony’s father. They can get away with it because neither knows the victim – so there is no motive. Haines, trying not to miss his stop, humors Antony by agreeing that it’s a great idea. In his rush to get off the train, he accidentally leaves his lighter with Antony. Back in his hometown, Haines learns that Miriam doesn’t plan to divorce him after all. Antony, meanwhile, follows Miriam and two young men to an amusement park, then on a boat ride to a small island. While she chases around with her beaux, Antony finds and strangles her. 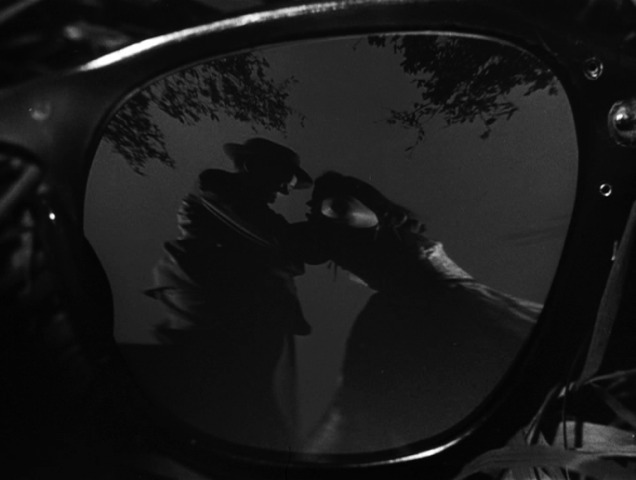 It’s one of Hitchcock’s most amazing moments: Miriam’s glasses fall to the ground, and we see the murder reflected in one of the lenses. The scene resonates all the way back to the strangling that opened “The Lodger” in 1925, but Hitchcock’s immense command of his craft, as well as the spectacular work of cinematographer Robert Burks, allowed him to show the killing in a subtle, meaningful way. Bruno Antony demonstrates his strangling technique while staring intently at Barbara Morton, who resembles his last victim. After Antony leaves the party, Anne guesses that something strange is going on, and Haines explains the situation to her. He then calls Antony and says that he’s decided to go through with it and kill his father, but after giving his police watchdogs the slip, Haines finds not Antony senior but Bruno waiting for him. Haines admits that he wanted to warn his father, and as Haines leaves the house, Antony says that if Haines won’t hold up his end of the bargain, he’ll have to take action – and that Haines’ distinctive lighter, which Antony still has, will help him do it. Knowing that Antony intends to plant his lighter near the murder site at the fair the next night, Haines races to stay a step ahead of the police and win a tennis match in time to bear Antony to the fairground. There, Antony sees the police and Haines bearing down on him and takes refuge on a merry-go-round. Haines gets on, too. 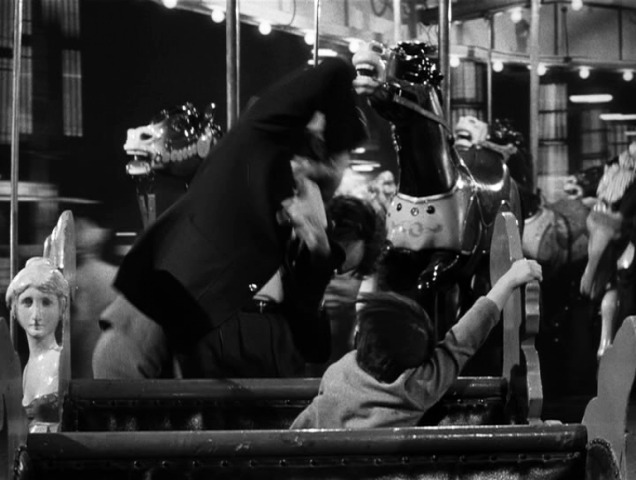 In nearly the only unlikely moment of the movie, a cop takes a shot at Haines on the moving merry-go-round, which is full of kids. He hits the operator, who falls on the controls, and the ride runs amok. While Haines and Antony fight, an old codger (who was a real employee of the fair) volunteers to crawl under the merry-go-round to get at the controls, but when he stops it, the ride tears itself apart. Haines is thrown free, but Antony is crushed and dying. The police chief grabs Haines, who says that Antony was there to frame him with the lighter. Antony denies having it, but as he breathes his last, his hand opens – and inside is the lighter. 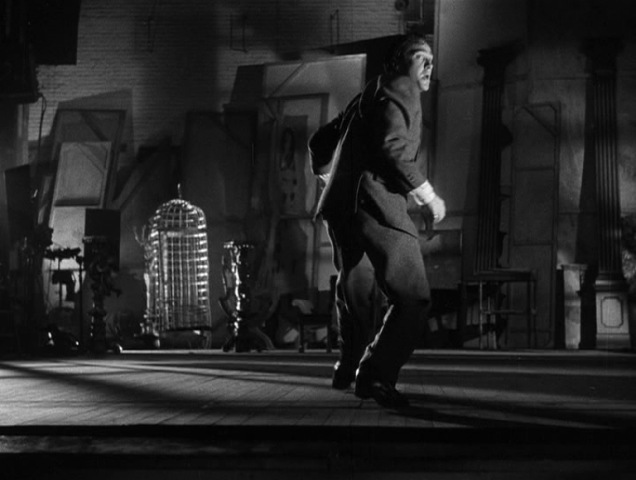 The merry-go-round finale is one of the marvels of Hitchcock’s career, combining miniatures, backdrop projection and screaming actors. More than any other crashing finale from his previous movies, this one is convincing. (Hitchcock admitted to adjusting the film speed at one point during the scene, which you can see when the old man reaches the controls.) 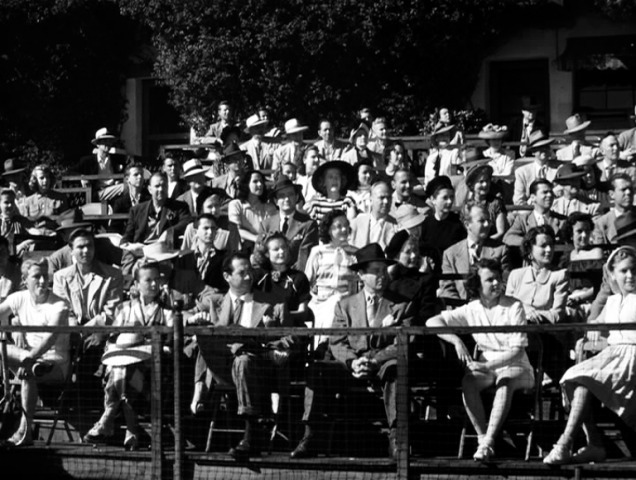 There are many other striking moments in the film, including one at a tennis match where a crowd of spectators swivel their heads back and forth to watch the action, while Antony, dead in the center of the crowd and standing out in his black suit among the pastel sweaters and sun dresses, stares fixedly at Haines, a phony smile glued to his face. The film is also rich in imagery, from the complex patterns and flowing shadows in the train at the start of the film to the ironically lighthearted billboards at the fair during the finale. As in “Rope,” Hitchcock plays with gender identity here. Bruno Antony is a bit of a gay caricature, a mama’s boy and fancy dresser who foreshadows Norman Bates in “Psycho.” Guy Haines seems like an all-American boy, but there’s something odd about him – he’s passive, as when he allows Antony to pressure him into drinking or taking lunch with him. Haines seems to have some kind of inner conflict, and Antony’s presence exacerbates it. 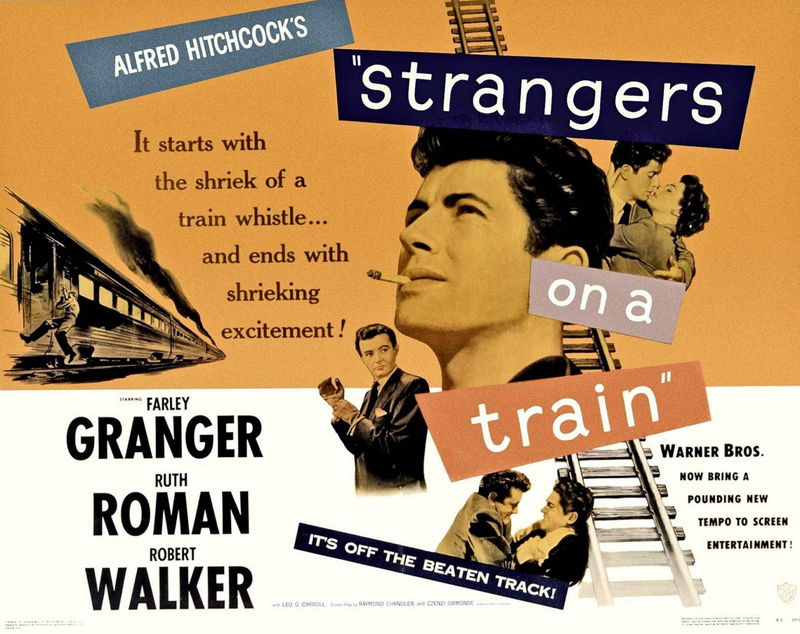 Although “Strangers on a Train” credits Raymond Chandler as co-writer of the screenplay, Chandler and Hitchcock did not get along, and none of Chandler’s work was used in the final film. Czenzi Ormonde, assistant to Ben Hecht, was brought in at the eleventh hour to write the screenplay, despite her lack of screenwriting experience. She worked closely with Alma Reville and Hitch’s associate producer, Barbara Keon. Next, Hitchcock takes on “I Confess,” a film he made largely in Quebec City, working with Montgomery Clift and Anne Baxter. 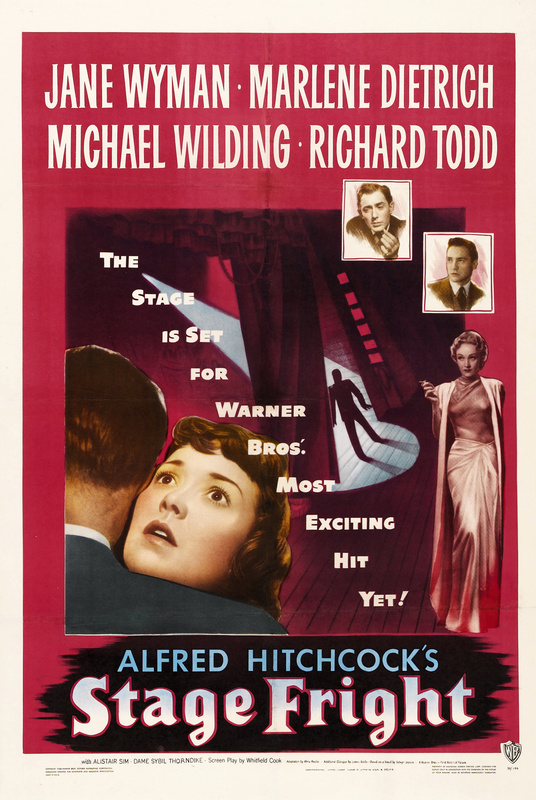 “Stage Fright” occupies a special place in Hitchcock’s oeuvre, however. It is the first of his films to feature an original song, the first and, I believe, only, in which two female stars get equal billing. What’s most memorable about the movie is a major flaw, though: a red herring so large that it could have given viewers whiplash when they learned the truth. 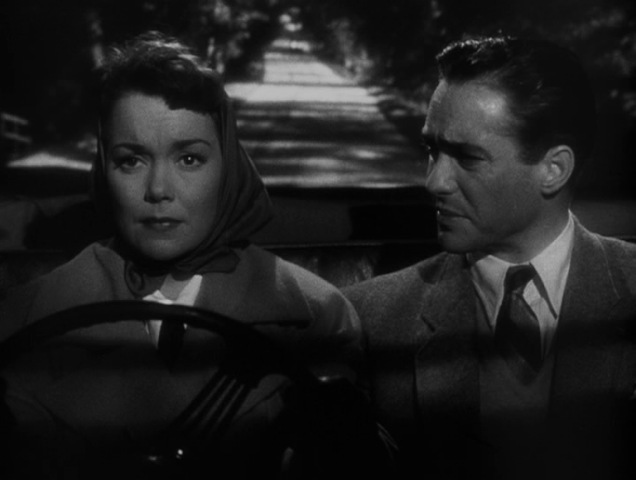 The story begins as Eve Gill (Jane Wyman) is driving her friend, Jonathan Cooper, (Richard Todd) out of London, as he is wanted by the police. He begins to explain the situation, and we flash back to his apartment, where his lover, Charlotte Inwood (Marlene Dietrich) shows up wearing a bloody covered dress. She’s just killed her husband, she says, and she needs his help. Cooper goes back to her own apartment and gets a change of clothes, but is spotted by the maid. He drops off the clean dress, then contacts Gill to see if he can hide out with her father. 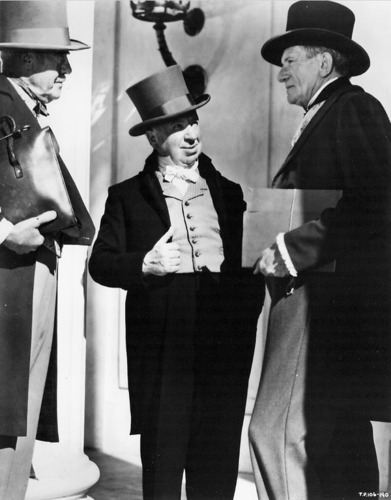 Gill takes Cooper at his word and brings him to her father, the eccentric Commodore, played by the very amusing Alistair Sim, who lives in a remote fishing village. Determined to save Cooper, because she loves him, Gill contacts Inwood’s maid and pays her to take a few sick days so she can get close to her boss and force a confession. 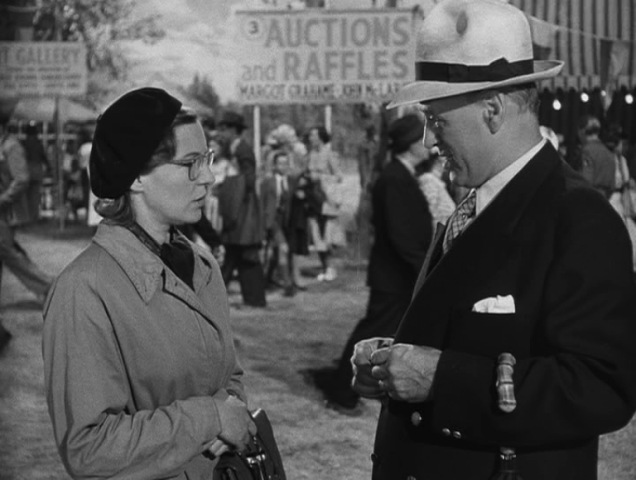 She poses as a Cockney working girl, with Hitchcock getting in a great cameo, staring at Gill as she practices her accent while walking down the street. Gill also crosses paths with Detective Wilfrid Smith (Michael Wilding), who is on the Inwood murder case. Gill struggles to keep up with the imperious demands Mrs. Inwood, while helping Smith and her father with the investigation, keeping Inwood’s real assistant from giving away the game, and continuing her own acting classes. 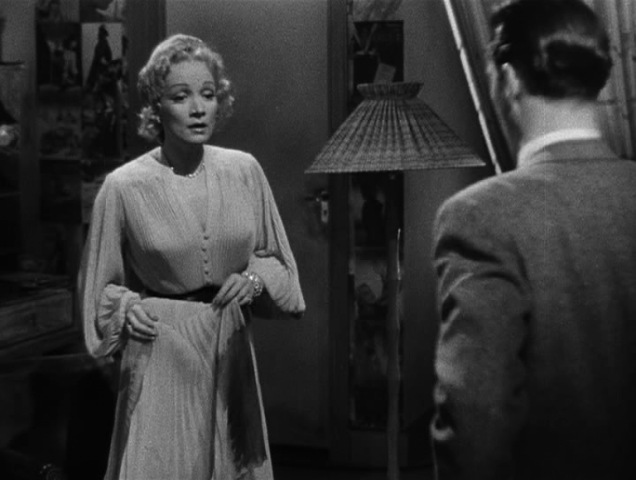 Wyman jumps back and forth from middle class British accent to Cockney with the kind of stiffness you’d expect from a fledgling actor, while Dietrich commands the screen with amazing charisma. Half the fun of the movie is the contrast between down-to-Earth Wyman and diva Dietrich. Things come to a head at a fundraiser fair. While Inwood is onstage singing, the Commodore pays a boy to hand her a doll wearing a bloodstained dress. (The suspense in watching the Commodore attempt to win the doll at a fairground shooting gallery before Inwood finishes singing is a highlight.) Inwood is shocked by the doll, but does not confess anything. Detective Smith, who’s been watching the proceedings, castigates the Commodore and his daughter for their interference with the investigation, but she convinces him to give her one more chance to get a confession out of Inwood. Gill confronts Inwood in her dressing room at the theater, which the police have wired for sound. Inwood refuses to admit anything, saying that Cooper did commit the murder. Smith, meanwhile, has caught Cooper and brought him to the theater. On hearing Inwood, Cooper breaks free of the police and finds Gill, who helps him hide. He admits to her that he really did kill Inwood’s husband, but that she goaded him into it – and now, he’s going to have to kill her as well. This is the point where audiences lost the plot, so to speak. Cooper’s entire explanation of events at the start of the movie, and the flashback that showed it all, was a fabrication. It’s almost too much to believe – that for the past hour and three quarters, we’ve been led in the wrong direction by Hitchcock. 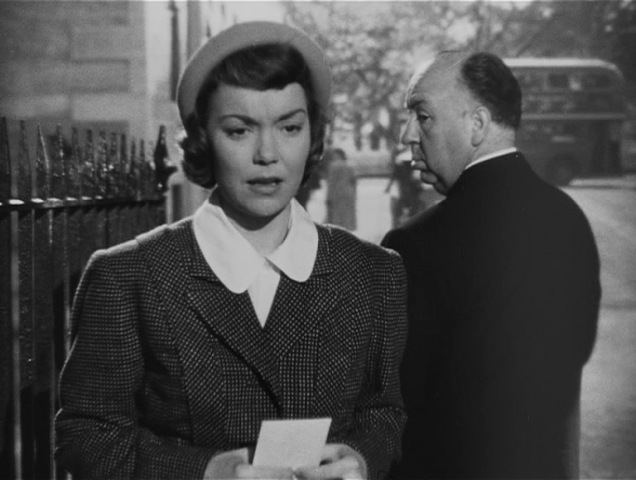 If the audience had known that Cooper was the real killer, Hitchcock might have gotten some suspense out of Gill’s attempts to help him. Gill manages to escape Cooper, and he is killed by a falling safety curtain as the police try to trap him. 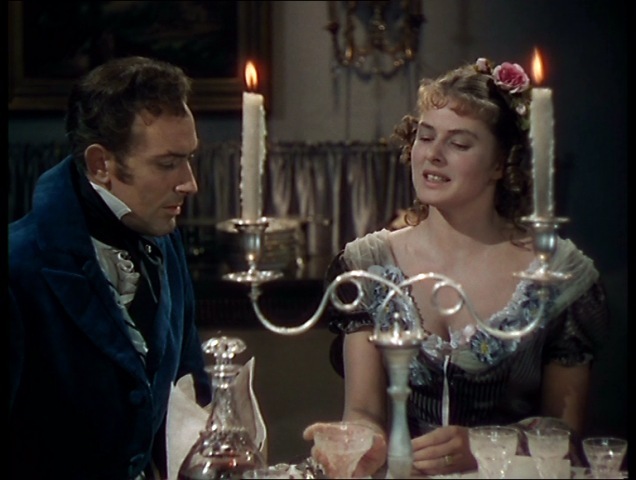 The film ends as Smith comforts Gill, who is visibly shaken by Cooper’s betrayal and death. 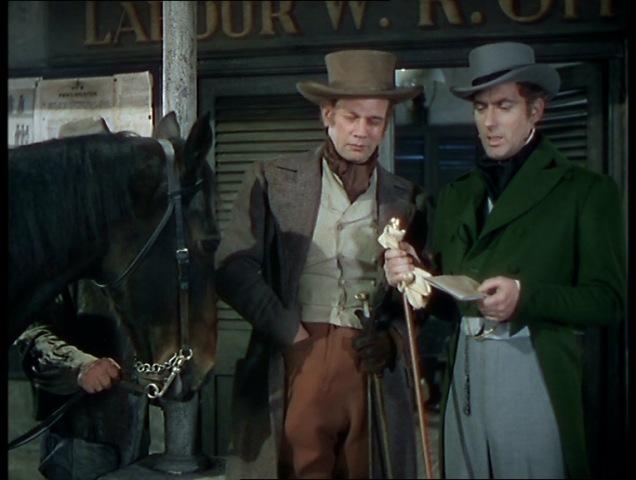 Michael Wilding, who had appeared in “Under Capricorn” the previous year, has a lot of fun with his detective character, who is both charming and dogged. 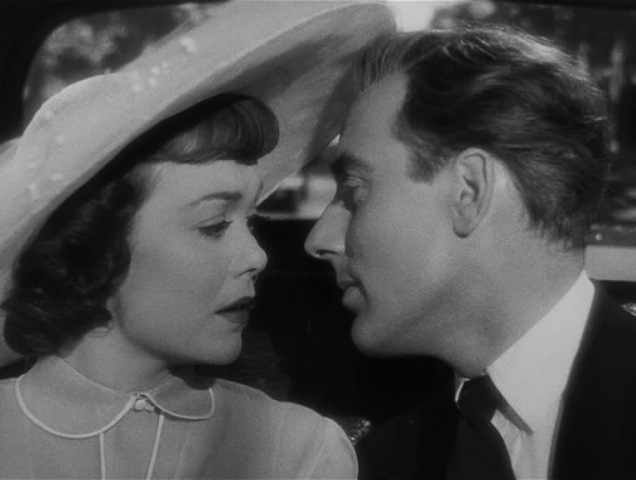 His chemistry with Jane Wyman as their romance blossoms is a treat as well. Also, Patricia Hitchcock makes her screen debut with a minor role here as one of Gill’s actress-student pals. “Stage Fright” was the first picture Hitchcock made in London since 1939, filmed in black and white, and it’s a pleasure to see those familiar places again. He would not work in England again until “Frenzy” in 1972. In his gorgeous new book, “Hitchcock: Piece by Piece,” author Lauren Bouzereau provides a new angle on The Master of Suspense. Rather than covering Hitch’s biography or looking at highlights of his filmmaking career, Bouzereau sorts Hitch’s works thematically into several lengthy chapters. 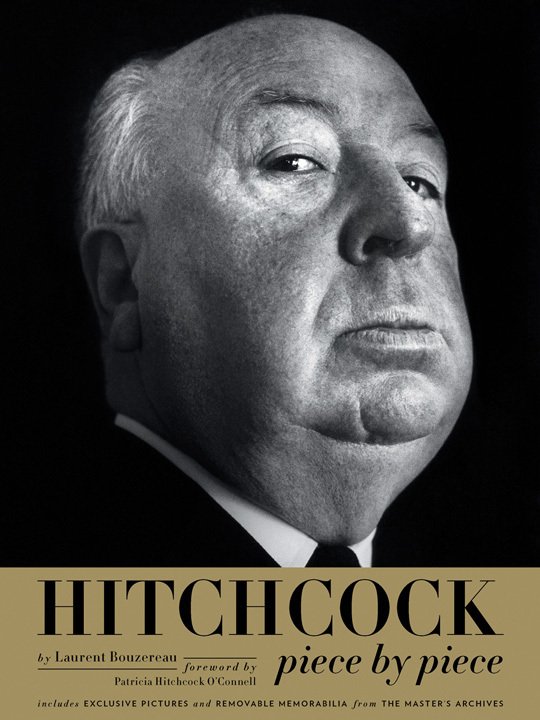 The chapter “Wrong Men and Anti-Heroes” looks at Hitch’s male protagonists; “The Hitchcock Women” examines women of every sort as they appear in Hitch’s films. Patricia Hitchcock O’Connell, the master’s daughter, contributes a foreword to the book that looks at her father’s lasting legacy. There’s more to “Piece by Piece” than just the categorizing of Hitchcock’s many motifs, though. The book features a fantastic assortment of photography, as well as pages that open up so the reader can access reproductions of storyboards, a telegram from Hitchcock to David O. Selznick, costume designs, photo albums, the proclamation of Hitch’s knighthood and much more. Like previous, similar books on Bob Dylan and John Lennon, these documents provide new insight into Hitch’s approach to filmmaking as well as his life. The photography, too, takes us deep into Hitchcock’s life. Many of these pictures have never been reproduced before; my favorites may be the book’s opener, a formal portrait of Hitchcock from the early 1920s, looking serious and sporting a mustache, and its closer, in which a much older Hitchcock grimaces in mock pain as he plays with his dog. It’s all beautifully designed, and shows Hitchcock as a master of the camera, whether he’s shooting or being shot. Books like this make a good case for another type of Hitchcock book: One of just photography, from his films and his life, in the style of the “365 Days” series of art books – like “Piece by Piece,” also published by Abrams Books. My only quibbles with “Piece by Piece” were fact-based. In discussing “The Birds,” Bouzereau both misspells Ub Iwerks’ name and provides no background about this legendary animator who first brought Mickey Mouse to life; also, the author notes the impact the finale of “Strangers on a Train” had on audiences in the forties, when the movie was released in 1951. But these are small points. “Piece by Piece” is a treasure for fans of Hitchcock and film history in general, and is very much recommended. You can order a copy here. 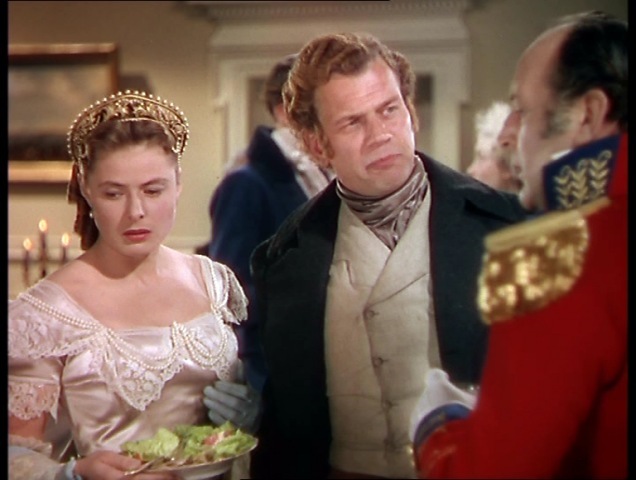 Alfred Hitchcock reteamed with Ingrid Bergman for the third and final time, following “Spellbound” and “Notorious,” for 1949’s “Under Capricorn,” a period piece set in 1831 Australia. Costarring Joseph Cotten and Michael Wilding, it captures the strange culture clash in Australia at that time, where upper class British immigrants mixed it up with the rough-hewn, barely civilized convicts who had been shipped Down Under against their will. Wilding plays Charles Adare, an Irish aristocrat with no money and no prospects who has come to Australia with his cousin, the new governor of New South Wales. While visiting a bank, Adare meets Sam Flusky, a brusque ex-convict who has made a fortune. Flusky proposes using Adare in a land-buying scheme, and Adare, hungry for money, goes along with it, despite the admonitions of both the bank manager and his cousin to steer clear of Flusky. Adare learns that Flusky’s wife is an old friend of his, but on seeing Harriet Flusky for the first time since childhood, he’s shocked to see how weak and infirm she’s become. Flusky has learned to ignore the problem — which is that Hattie is drinking herself to death — leaving the running over the house and the care of his wife to their housekeeper, Millie. Adare decides to help Hattie regain her strength and confidence, but Millie undermines Hattie’s attempts to take control of the house. 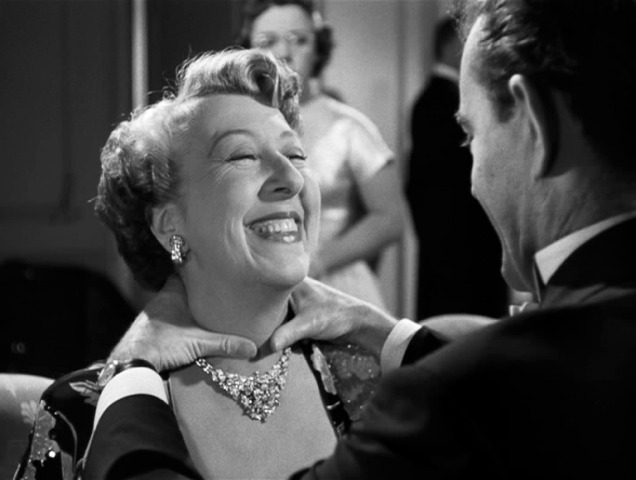 When Hattie tries to assert her authority over the cackling quartet of women who work in her kitchen, Millie brings in a pile of empty bottles of liquor, revealing Hattie’s drinking problem to the staff. Millie complains to Flusky about Adare’s interference in the household, and hints at Adare’s growing affection for Hattie. Rather than fight, Millie quits, leaving the house in the less than capable hands of another young servant. Adare tries again to help Hattie, this time by forging an invitation for the Fluskies to a ball. Sam refuses to go, saying he’s no dancer, but lets Adare take Hattie. While they’re at the ball, where Hattie is the hit of the evening, Millie returns to the house. She convinces Flusky that Adare is trying to break up his marriage. When Hattie and Adare arrive back at the mansion, Flusky throws him out, but after a riding mishap, Adare returns, and Flusky attacks and accidentally shoots him. The governor threatens to send Flusky to the gallows if Adare dies, as it will be his second offense. To protect her husband, Hattie confesses that she committed Flusky’s first murder: He was a stable boy and she a noblewoman, and when they fell in love, her brother tried to kill Flusky, forcing her to shoot him. Flusky took the blame, and she followed him to Australia to wait for his release from prison. Millie, once again the mistress of the house, attempts to poison Hattie, but Flusky intercedes. Flusky sees that there was nothing between Hattie and Adare, and commits himself to helping his wife recover fully. Adare recovers as well, and without Flusky’s corroboration of Hattie’s story, no new charges are brought against either of them. The story wraps up with Adare leaving for home to be the first person to return from Australia without a fortune. 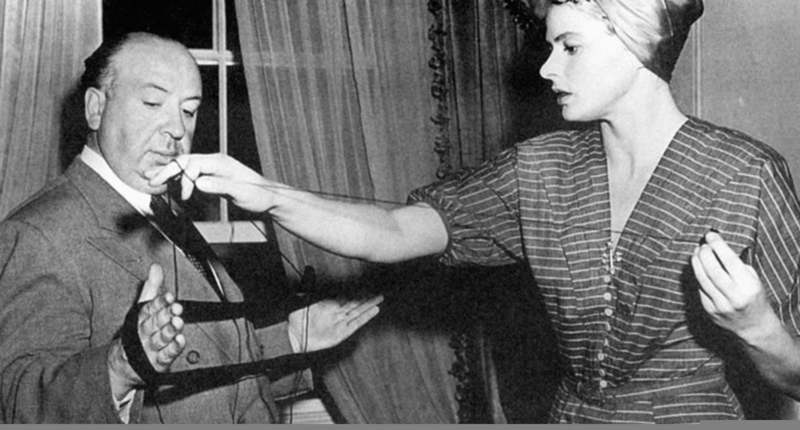 As in “Rope,” Hitch used long takes and moveable sets in “Under Capricorn.” Ingrid Bergman reportedly hated this method, with its interminable speeches and complex choreography. The camera movement is actually distracting, at times; It circles the actors and sweeps across rooms like a restless, silent guest at a party, and follows them down corridors in an odd, unnatural way. Of course, the actors are riveting, if off-key: Bergman sounds like Bergman, Cotten sounds like Cotten, and the British Wilding does not sound at all Irish. 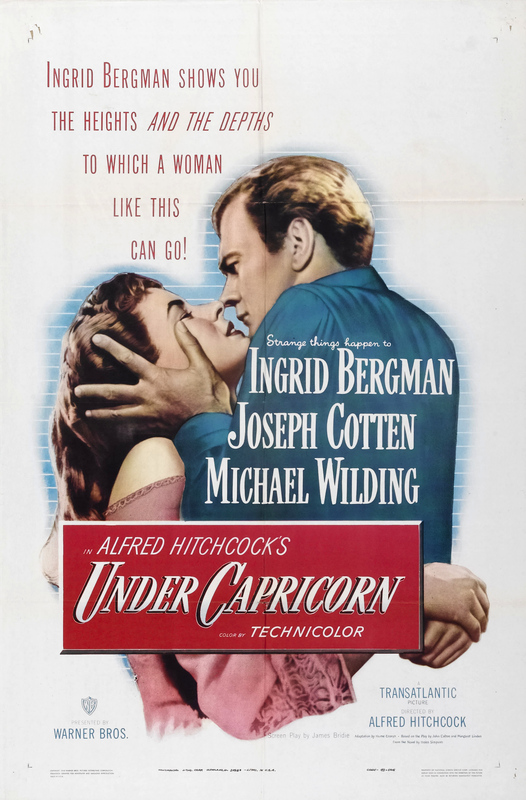 “Under Capricorn” was an odd cap to a decade in which Hitchcock struggled, and often succeeded, in finding his voice. If “Notorious” was Hitch’s high point in the 1940s, this may have been his lowest. “Under Capricorn” was hurt at the box office by the scandal of Bergman’s adulterous relationship with director Roberto Rossellini. This was the second flop in a row for Hitch’s new production company, Transatlantic Pictures, and the last film the company would release. I believe it is also the last period piece Hitchcock ever made. By an odd coincidence, Hitchcock closed the 1940s the same way he did the 1930s. “Under Capricorn” has much in common with “Jamaica Inn,” in that both are period pieces, both have a strange air of artificiality, and both performed poorly at the box office. After “Under Capricorn,” Hitchcock took some time off and regrouped while on vacation. He would come back with the basic ideas for several movies he would make in the 1950s, including something called “The Man in Lincoln’s Nose,” which would eventually become “North by Northwest,” arguably Hitchcock’s finest movie. 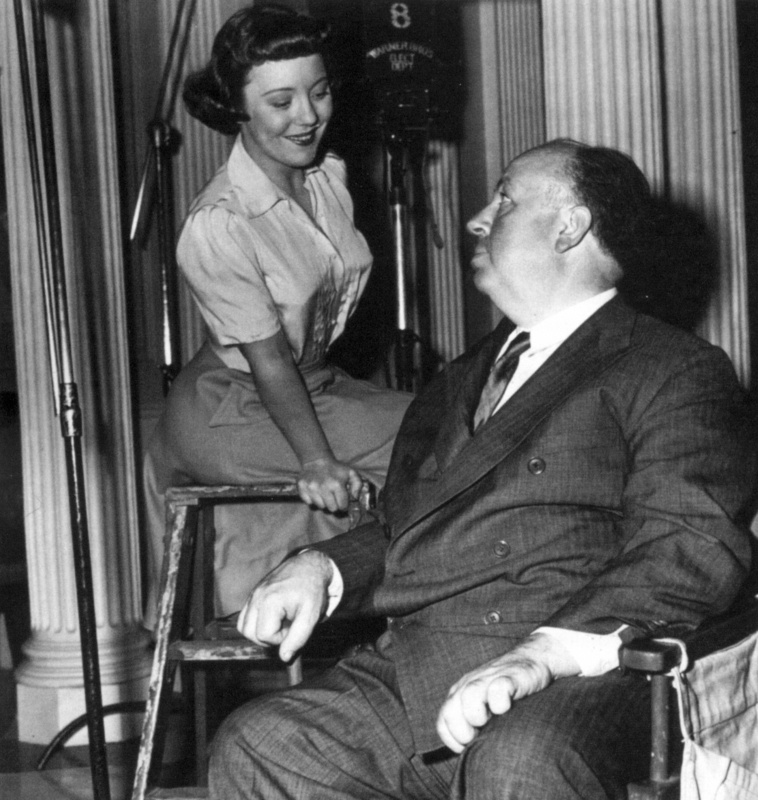 The 1950s would come to be regarded as Hitch’s most creative and successful decade, beginning with 1950’s “Stage Fright,” starring Marlene Dietrich and Jane Wyman.